Just like the nation-wide Swachh Bharat Mission which was launched in 2014, we can soon witness a Sangeet Bharat campaign. Well, only if the efforts of a 58 year old Civil Engineer from Andhra Pradesh can convince Prime Minister, Narendra Modi for such a mission. Music teacher S V Rao, better known as Guitar Rao is behind this campaign who teaches guitar to his students for only Rupee 1 per day. 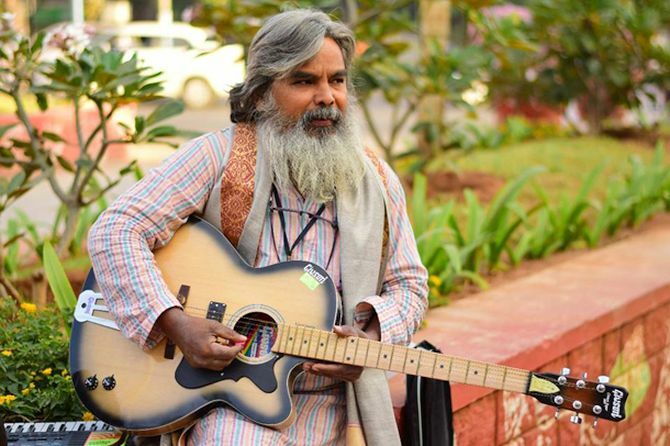 A civil engineer turned guitar teacher, he roams from city to city and teach music to the willing people. Nowadays, you can find him in Delhi, teaching guitar, flute and keyboard at three locations every day.